Thanksgiving dinner at your house this year? Throwing a holiday or New Year's party? Driving to or from any of these festivities? As we prepare to celebrate with friends and family, here are a few tips to get everyone home safe and sound! Roughly 11 million people were exposed to asbestos between 1940 and 1978. That means new asbestos disease victims are diagnosed daily, with roughly 3,000 new mesothelioma cases surfacing annually, according to the American Cancer Society. Many of these people were hard-working laborers who were never aware of their asbestos-exposure danger. These people deserve the best possible legal representation. 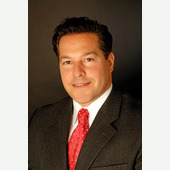 The Goldberg Law Firm provides asbestos victims and their families with the thoughtful, thorough legal representation they deserve. Is that they may be legally on the hook if an accident should occur. 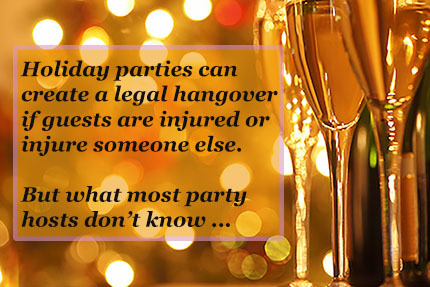 From your great aunt Edna breaking her hip on an icy sidewalk to your brother-in-law Jerry drinking too much champagne and causing a crash on the drive home, you should know how to protect your guests and yourself before hosting a party this holiday season. On average, alcohol was a factor in 38 percent of all fatal road crashes during the Thanksgiving, Christmas and New Year’s holidays from 2009 to 2013. Thanksgiving topped the list, averaging 412 deaths per year. Falls are the leading cause of home injury deaths, claiming nearly 6,000 lives per year. In 2010 alone, more than 660,000 adults were hospitalized due to a fall. The standard minimum of $100,000 in homeowner’s liability insurance may fall short if someone is injured in your home, making you responsible for the balance. Insurance experts recommend increasing this amount. A little common sense and advanced planning can protect your holiday guests from drinking too much and injuring themselves or others. View video. With holiday office parties making a comeback, business owners should heed these tips from the Wall Street Journal for avoiding costly legal complications. View video. MADD National President Colleen Sheehey-Church talks about targeting the increased prevalence of drunk driving during the holidays.